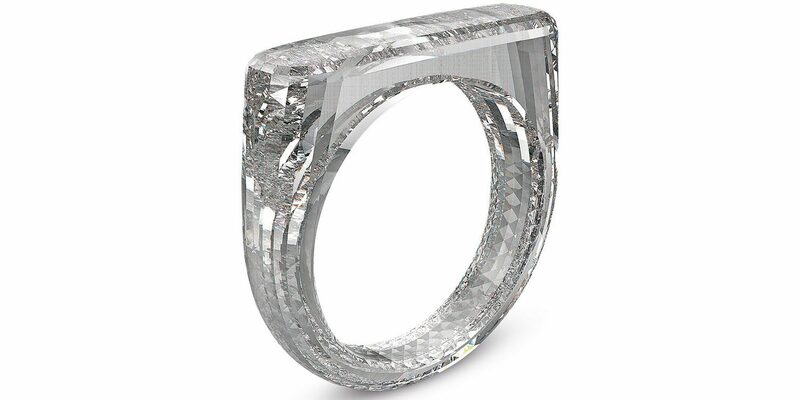 Sothebys is to auction a diamond ring created by Apple design chief Jony Ive and Marc Newson. Theirs will be created by removing material rather than adding – an ambition made possible by the extraordinary scale of the stone which will enable the ring to be completely made of this material. It'll be made from a cultured diamond and is expected to fetch $150-$250k. It looks great, but is difficult to upgrade and tends to overheat if you leave magazines on top.